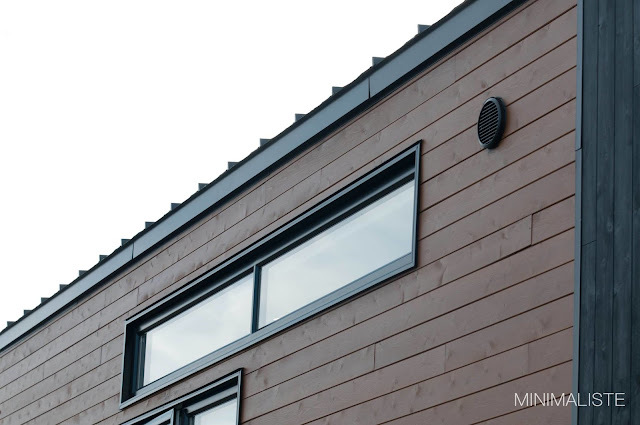 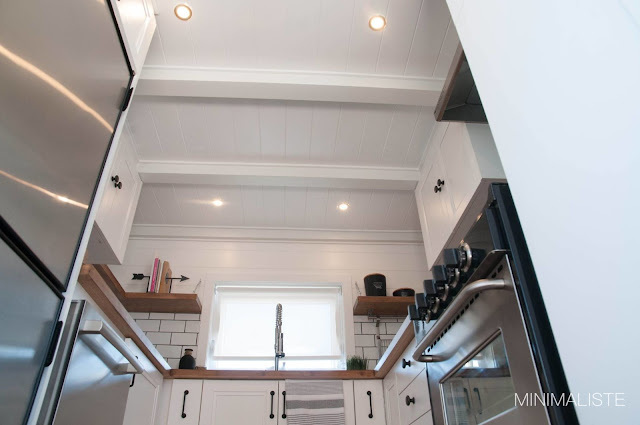 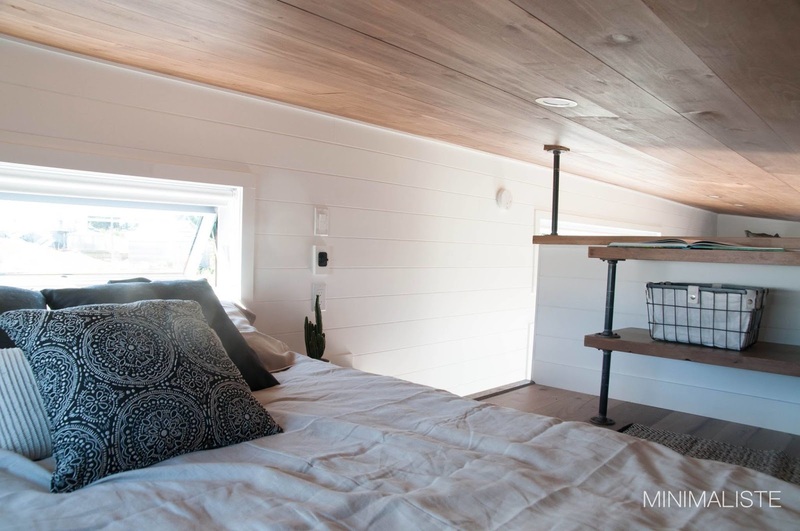 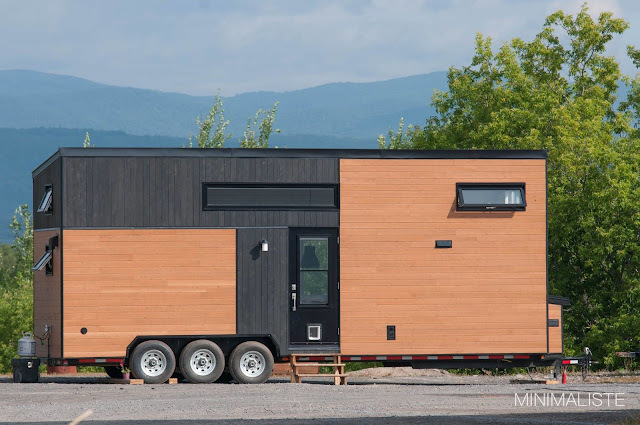 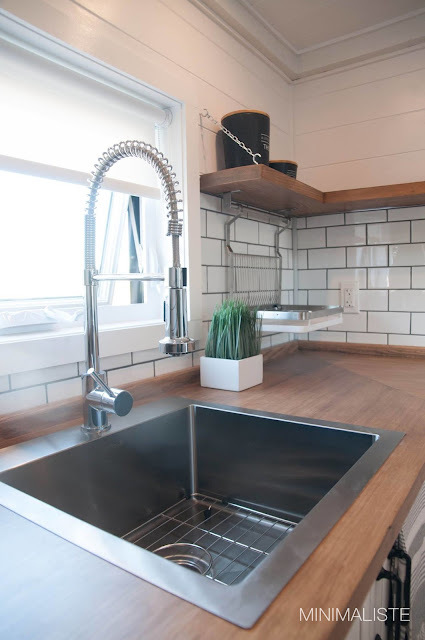 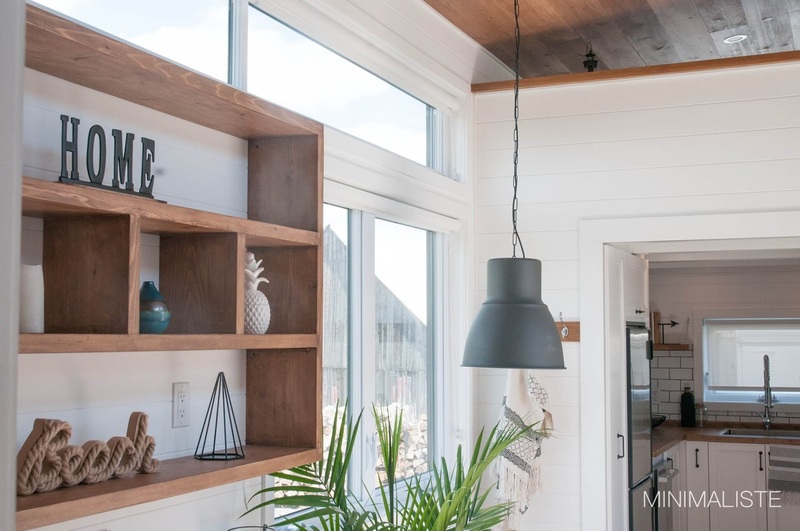 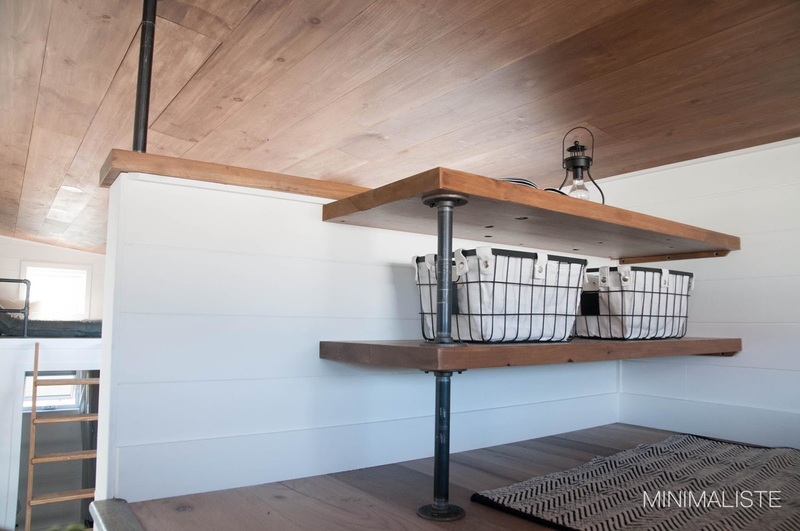 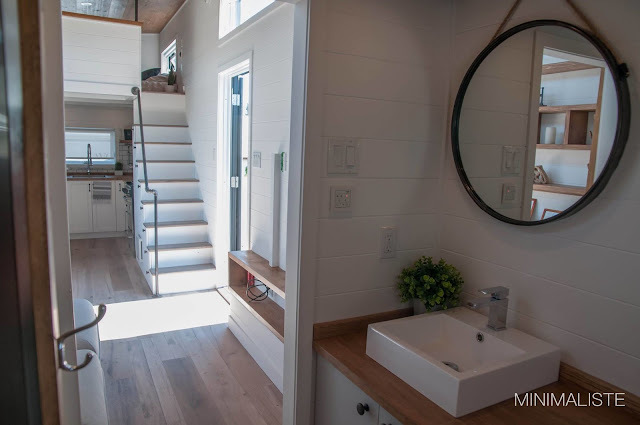 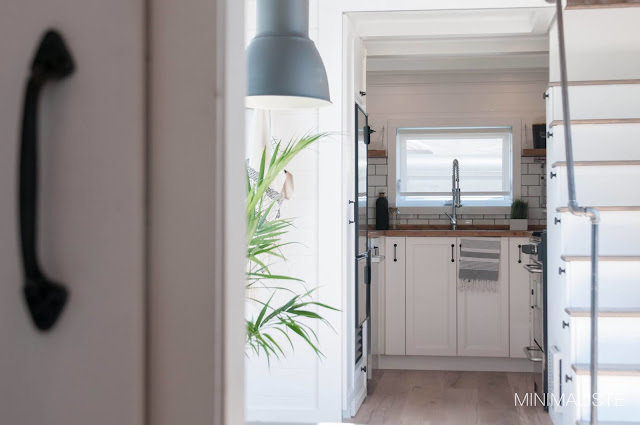 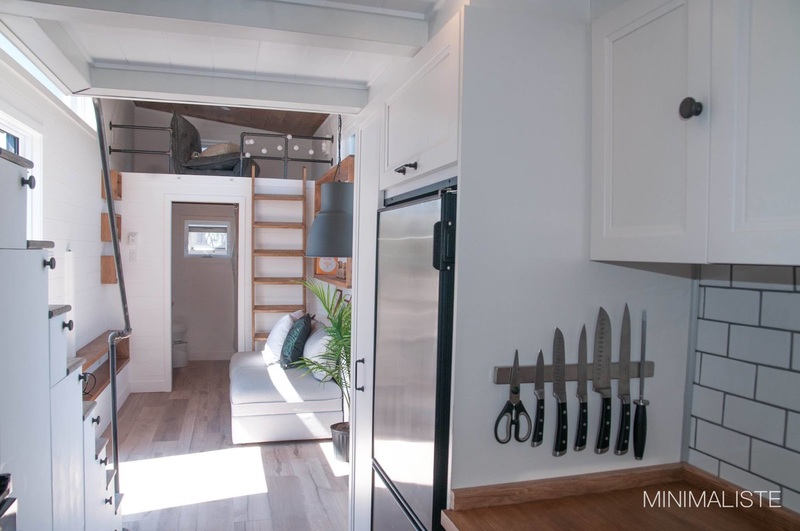 The Eucalyptus is a simple, modern tiny home from Minimaliste, custom built for a client. 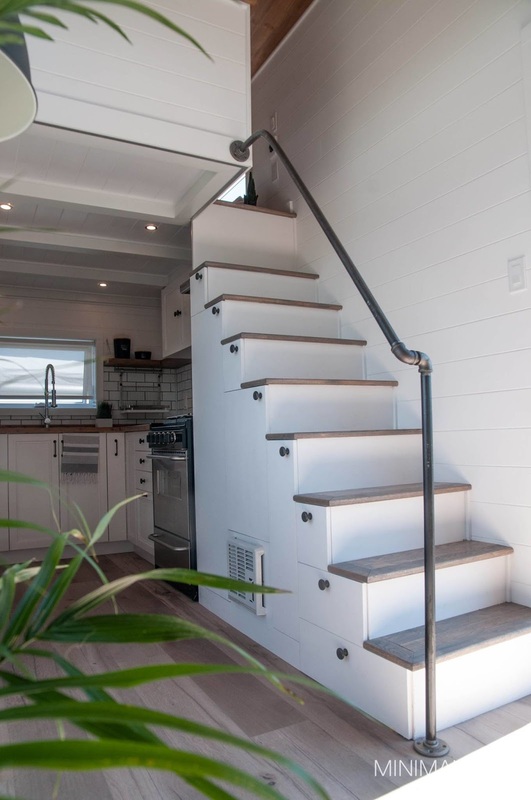 The company has built numerous eye-catching tiny homes (including the Acacia and the Sakura) and the Eucalyptus is no exception! When you walk into the home, you will see the stairs that can be used to access the sleeping loft immediately to your right, and bordering the stairs is the spacious kitchen. 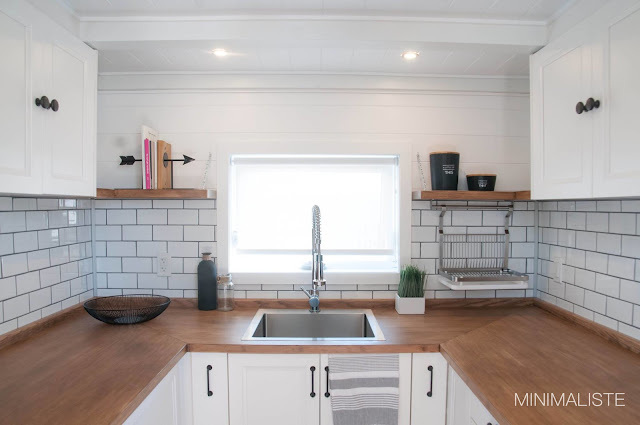 The kitchen has plenty of counter space composed of bamboo, a deep stainless steel sink, pine cabinetry, white tile back splash, and stainless steel appliances (i.e. 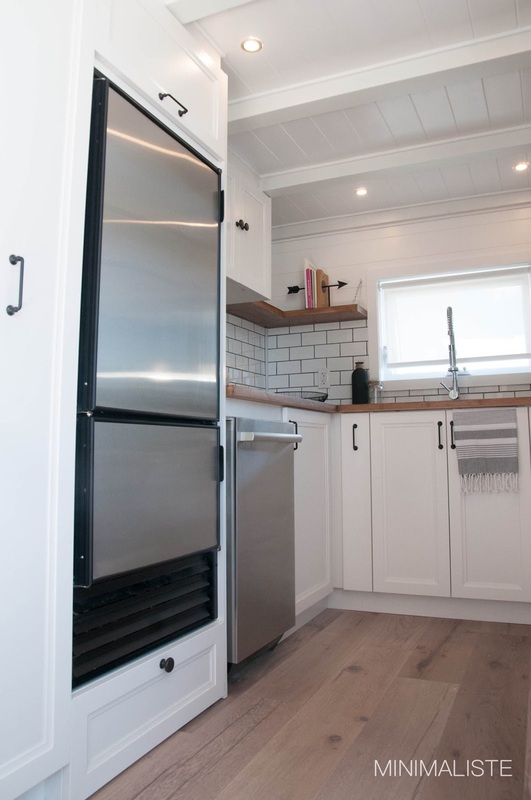 refrigerator/freezer, 4-burner range w/ oven). 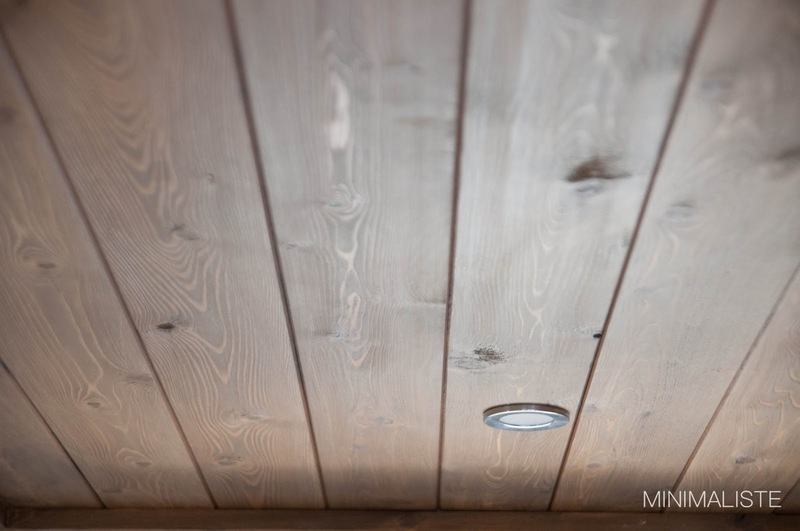 There's also beautiful red cedar shelving and a white pine ceiling overhead. If you exit the kitchen and head to the left side of the home, you’ll pass through a living room furnished with a white couch and entertainment center before entering the bathroom. 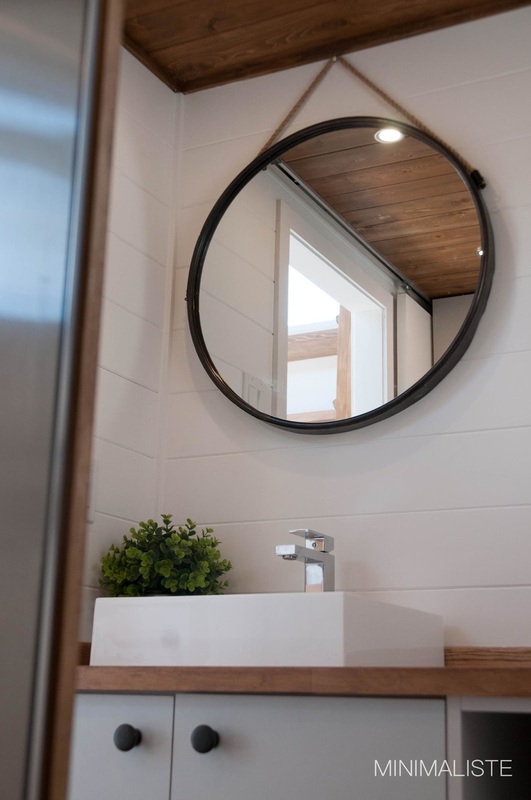 The bathroom has a vanity, circular mirror, white sink and shower. 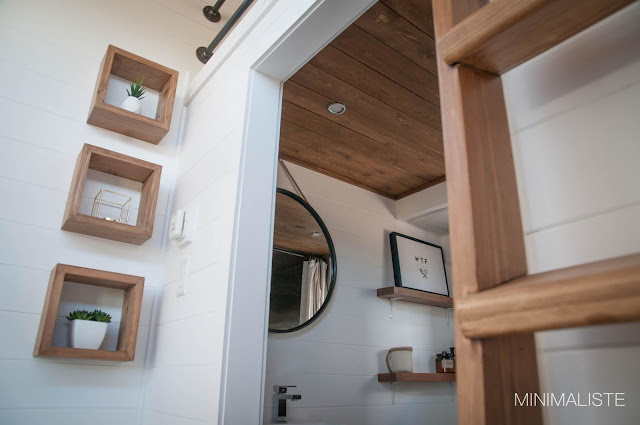 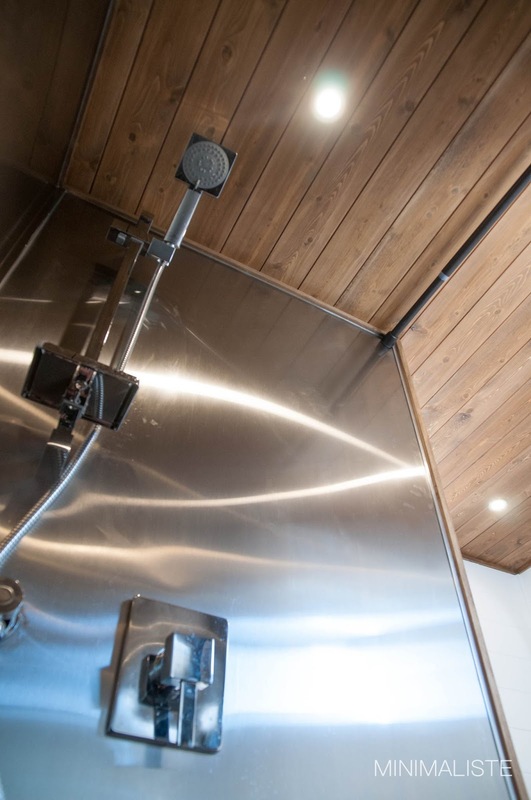 Above the bathroom is an additional loft that can be accessed via ladder. For more information on the Eucalyptus or Minimaliste, contact the company here!